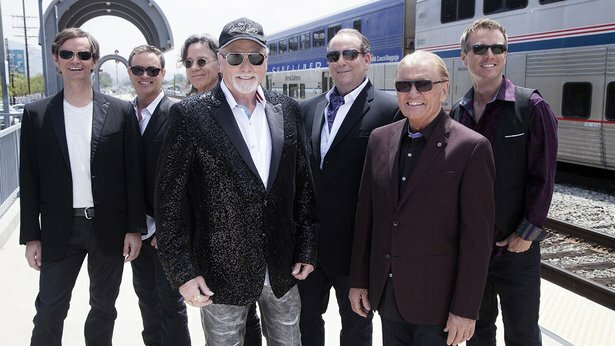 The Beach Boys with Mike Love will perform Aug. 27 in Amarillo. 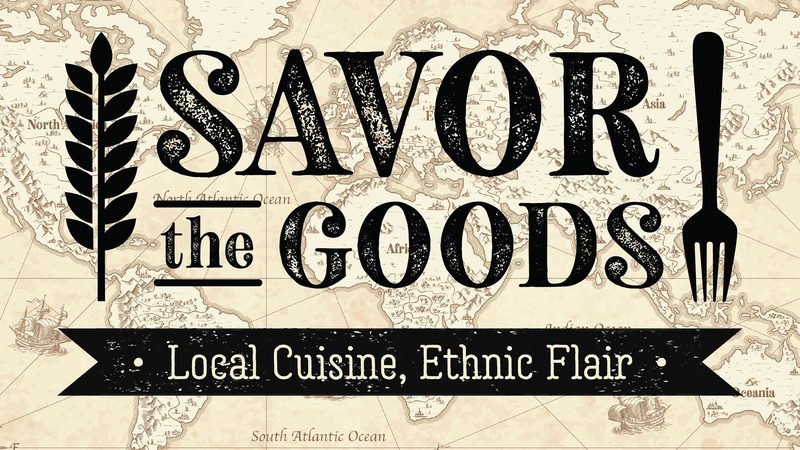 Before Memorial Day, we rounded up some of the summer's hottest events. 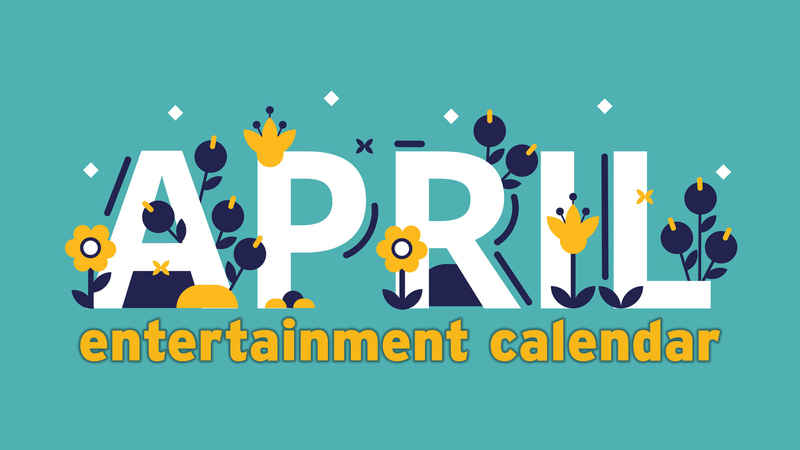 We're back at the season's midpoint with a slew of newly announced events that you can't miss. In that previous post, I touched on events still yet to come — Amarillo Museum of Art's Side by Side exhibition, the Time Jumpers, Cooder Graw, Ama-Con, In My Life: A Musical Tribute to the Beatles, the Original Harley Party, Discover! 4.0, Lovestock Music Festival (since moved to Aug. 13), The Full Monty, Create! 2016 and Texas Panhandle's Craft Beerfest. They're all still recommended. But since that post, a whole new batch of hot concerts and events have been announced, so here's a compilation of 15 more happenings you shouldn't miss from now until Labor Day weekend. 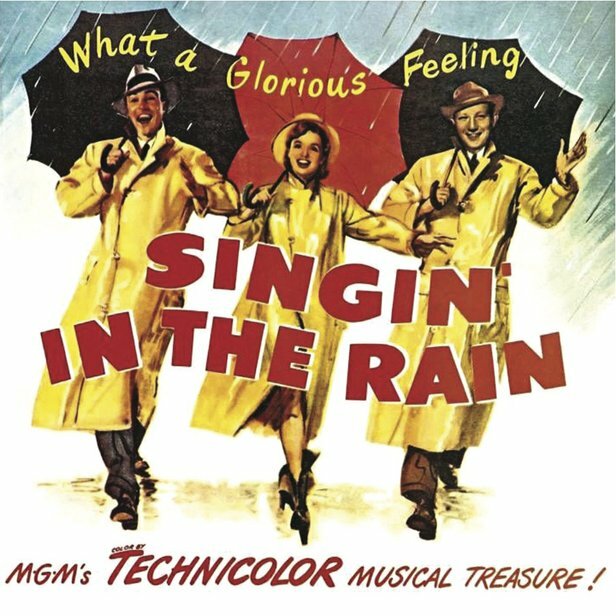 The most joyful movie musical ever made (I'm prepared to argue this point at length) kicks off Cinemark's Summer Classics Series with screenings at 2 p.m. Sunday and 2 and 7 p.m. Wednesday at Cinemark Hollywood 16, 9100 Canyon Drive. The series continues with screenings of Fight Club at 2 p.m. July 17 and 2 and 7 p.m. July 20; Planet of the Apes (the original one) at 2 and 7 pm. July 24 and 27; Gone with the Wind at 2 p.m. July 31 and 2 and 7 p.m. Aug. 3; Batman (the 1989 version with Michael Keaton and Jack Nicholson) at 2 p.m. Aug. 7 and 2 and 7 p.m. Aug. 10; and Animal House at 2 and 7 p.m. Aug. 14 and 17. Planet of the Apes and Animal House also will screen on those dates and times at United Artists Amarillo Star 14, 8275 W. Amarillo Blvd., as part of TCM's Big Screen Classics series. Individual ticket prices vary, but tickets are $30 for all six films in the Cinemark series. Update: Amarillo's Cinemark won't be screening these this summer. The theater is undergoing renovations, so special events like this and Fathom Event's screenings of theater, opera and dance (among other things) are on hold for now, manager James Owens said. Internationally touring burlesque performer Bunny Galore, winner of the 2016 Miss Viva Las Vegas burlesque competition, will headline this variety show, set for 10 p.m. July 14 at Golden Light Cantina, 2906 S.W. Sixth Ave. Amarillo burlesque performers Domistikate, Lady Gwendolyn, Lascivious Lark, Mss Myka, Sofia Sunday and Vivian MirAnn also are on the bill. Tickets are $10. 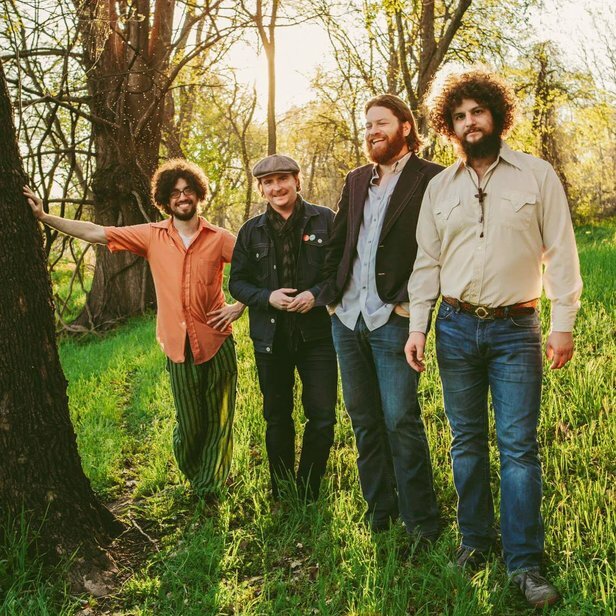 This new festival at the Amarillo National Center (its first time here after starting in Erick, Okla., in 2014 and drawing thousands of fans) won't just feature some favorite bands, like headliners JB and the Moonshine Band (above). It'll also feature a two-hour bull riding match; presumably, the singers won't have to take part. No, seriously, the match will feature 40 riders on bulls from the Professional Bull Riders circuit. 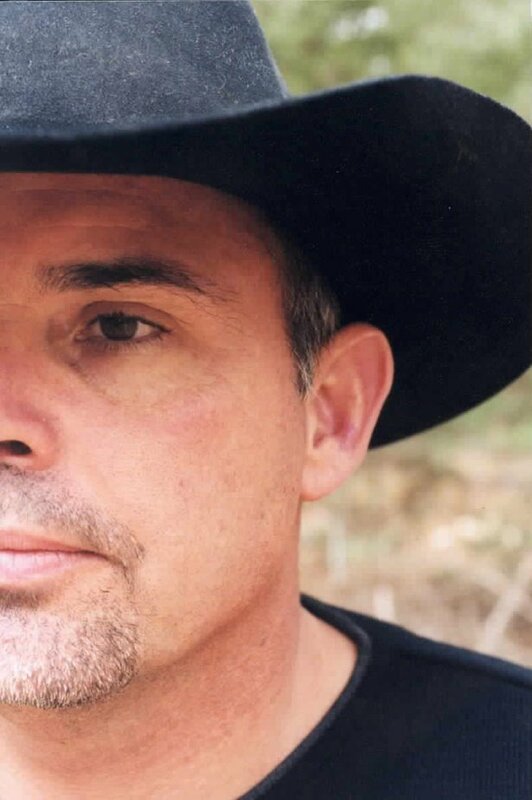 Other acts on the bill include Shep, Ray Scott, Sunny Sauceda, Ward Davis, Zac Wilkerson, JW Lane & County Road X, Comanche Moon and Tyler Wilhelm & A Few Dollars More. The event runs from 1 p.m. to midnight at the center on the Tri-State Fairgrounds, 3301 E. 10th Ave. Tickets are $55 for adults, $25 for children ages 6 to 12 and $40 for students ages 13 to 17. For information, visit buckinwildmusicfest.com/amarillo. Houston Marchman will perform July 24 at Golden Light Cantina. One of the best Batman stories ever told was a one-off 1988 graphic novel by Alan Moore and Brian Bolland that (along with the previous year's Batman: Year One) presaged the grim, gritty interpretation of Batman has remained so popular for so long. (Yes, Batman got a lot more serious after the campy 1960s TV show, but pre-Year One, he was occasionally capable of cracking a smile.) Moore's story draws parallels between Batman's obsessive quest for justice and Joker's descent into madness, and the tale has had a lasting impact over the past 28 years. 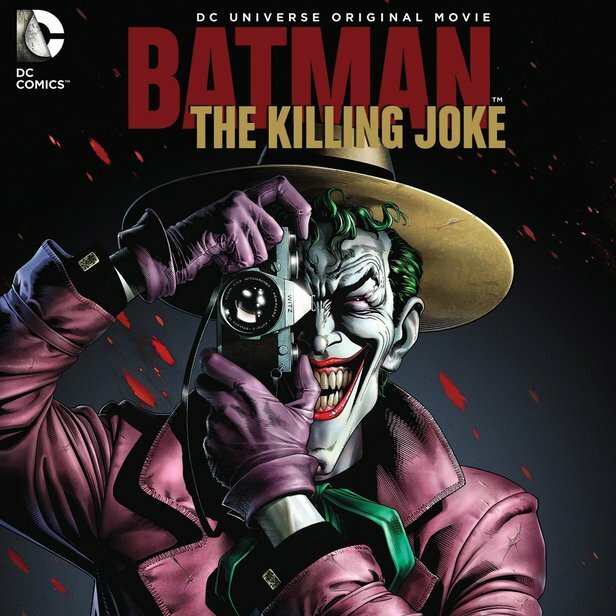 DC has been considerably more successful with its series of animated films (this is the 26th) than it has with its live-action movies, and this one (featuring the voices of Kevin Conroy and Mark Hamill, who voiced Batman and Joker in Batman: The Animated Series and other projecs) looks pretty spectacular. The company's so hot on its prospects that it gets a one-night-only screening at 7:30 and 10 p.m. July 25 at both the Amarillo Star 14 and Hollywood 16. 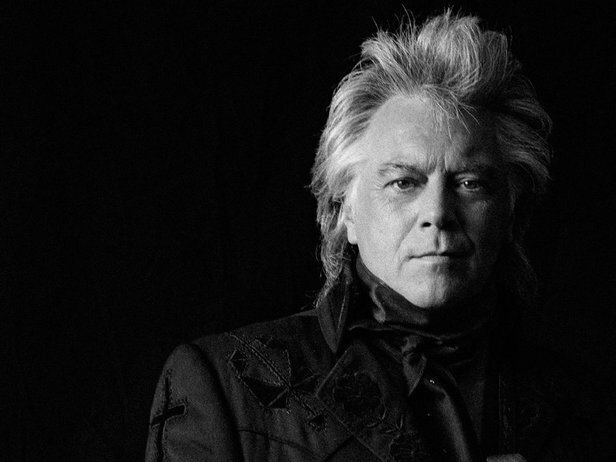 Marty Stuart, the man with the best hair in country music will hit town for a 10 p.m. July 28 show at Hoots Pub, 2424 Hobbs Road. Stuart, who had a string of hits in the '80s and '90s, but has remained active as a performer and writer ever since. Tickets, which are available here, are $30. Roxy Roca will return for an Aug. 4 show at Leftwoods. 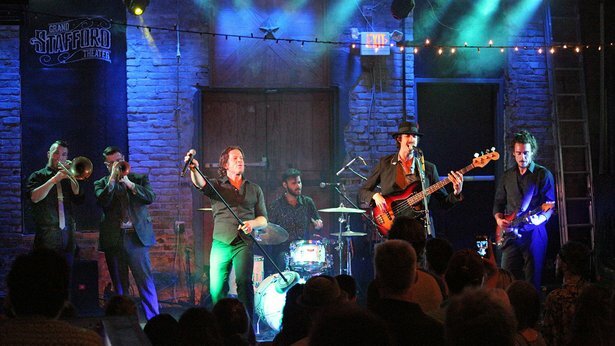 The dynamic Austin soul/funk band — one of the best live bands on the regional circuit these days — heads back to Amarillo for a 10 p.m. Aug. 4 show at Leftwoods, 2511 S.W. Sixth Ave. It's a quick return — the band just hit town in June; I interviewed lead singer Taye Cannon then — but a welcome one. "I think soul music — particularly the blues — has always been about real life, relatable peaks and valleys," Cannon told me in June. "It's an emotional music, about the good times and the bad times, and there are a lot of crazy things going on in the world right now and people are opening their hearts again and are receptive to it." Cover is $5. 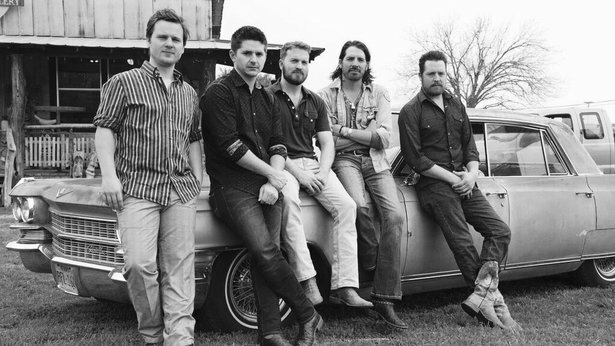 Micky & The Motorcars will perform Aug. 5 at Hoots Pub. 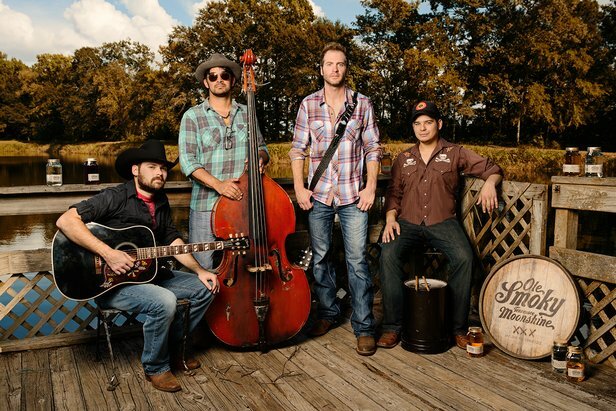 One of the iconic Texas country bands from the scene's early-2000s heyday, this Austin-based band still draws big crowds when it returns to Amarillo, as it will at 10 p.m. Aug. 5 at Hoots Pub. Though the band hasn't released a studio album since 2014's Hearts from Above, it maintains a hectic touring schedule. Cover is $10 in advance and $12 day of show. The Deltaz will return to Leftwood's on Aug. 6. 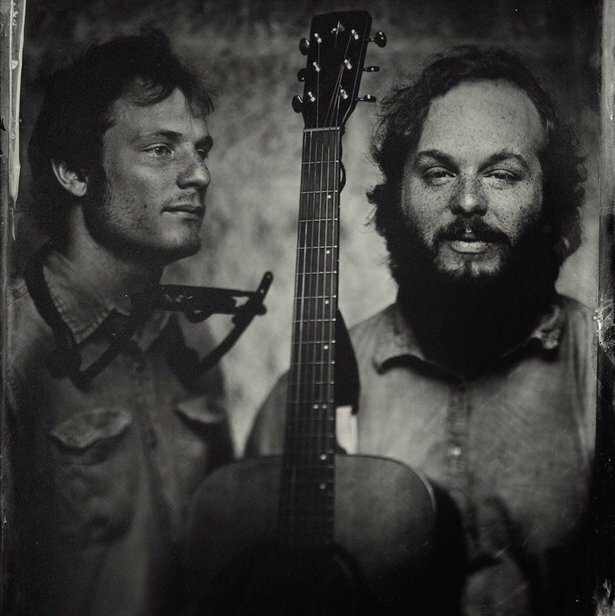 Fresh off the June release of Like Your Brother, this California-based country-blues duo returns to Leftwoods for a 10 p.m. Aug. 6 show. The album's title track has been a hit on FM90, and the band has attracted a faithful following locally in the past several years. Cover is $6. Reverend Horton Heat will perform Aug. 12 at Hoots Pub. One of the most raucuous psychobilly acts around, Reverend Horton Heat formed in Dallas in 1985 and is still bringing the heat more than 30 years later (literally, in some cases, as when the band escaped a bus fire in March). Now, they're coming to Amarillo for the first time in more than a decade for a 10 p.m. Aug. 12 show at Hoots Pub. The band's most recent album, Rev, was released in 2014. Cover is $25; tickets are available here. Uncle Lucius will perform Aug. 13 at Hoots Pub. The hot Austin jam band never fails to entertain (or to draw huge crowds) when they ramble into Amarillo, as they will again for a 10 pm. Aug. 13 show at Hoots Pub. The band recorded a live album in May, a follow-up to 2015 studio album The Light. Cover is $10 in advance and $15 day of show. Adam Hood and Jason Eady wil bring their joint tour back to Amarillo for a show at Hoots Pub. Americana singer-songwriters Adam Hood (above left) and Jason Eady (right) bonded quickly after meeting a few years ago — so much so that the guys, who each front their own bands, play nearly as many dates together these days as they do apart. 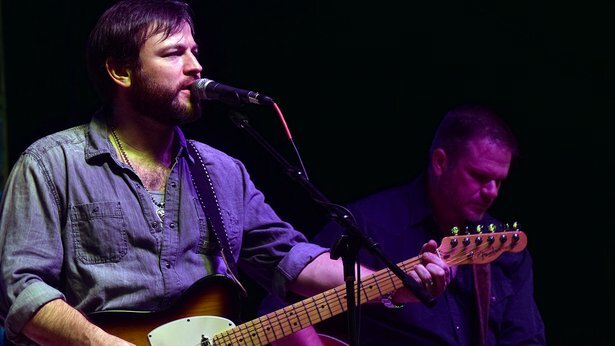 They'll return to Amarillo for a 10 p.m. Aug. 26 show at Hoots Pub. Cover is $10. Two Tons of Steel will rock out Aug. 26 at Leftwood's. The rockabilly favorites, which celebrated its 20th anniversary last year, swing back into Amarillo for a 10 p.m. Aug. 26 show at Leftwoods. 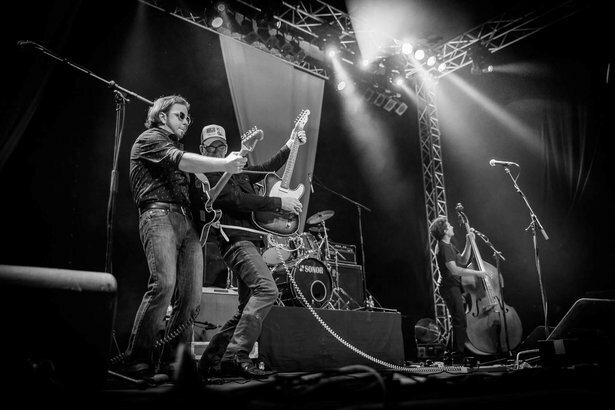 The honky-tonkers, who recently completed a European tour, always put on an energetic show; be sure to listen for their cover of "I Wanna Be Sedated." Cover is $8. The Beach Boys, featuring original member Mike Love, will perform Aug. 27 in the Amarillo Civic Center Complex Auditorium. The iconic pop band The Beach Boys debuted more than 50 years ago, quickly emerging as the vanguard of the California sound. In its career, the band has sold more than 100 million albums on the strength of such hits as "Surfin' Safari" and "Good Vibrations." Despite some contentious times before and after the deaths of founding members Dennis and Carl Wilson, the band is still performing (without founder Brian), with founder Mike Love and longtime member Bruce Johnston still in the lead. They'll perform at 7:30 p.m. Aug. 27 in the Amarillo Civic Center Complex Auditorium, 401 S. Buchanan St. Tickets are $35 to $90, plus fees, and available at panhandletickets.com. UPDATE: A 3 p.m. Aug. 27 performance has been added. Ticket prices are the same. 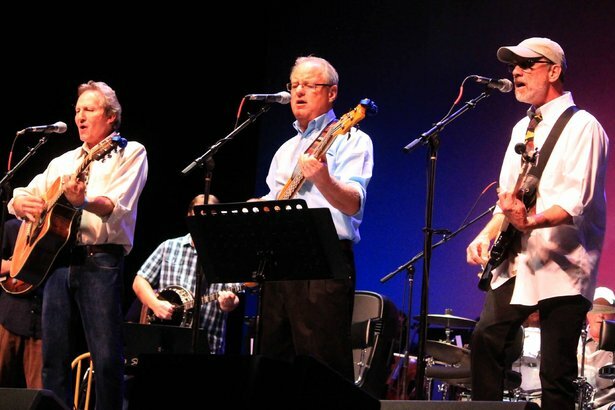 Labor Day Weekend kicks off with the seventh in a series of benefit concerts for prostate cancer research and treatment dedicated to the late Dan Fogelberg, who died of the disease in 2007. This year's show — set for 7:30 p.m. Sept. 1 in the Globe-News Center for the Performing Arts, 500 S. Buchanan St. — also will feature music by the late Glenn Frey and The Eagles. An all-star lineup of Amarillo musicians — including Anderson, Flesher & Key (above), Insufficient Funds, Mike Fuller, Bob Hopkins and more — will perform. Tickets are $20 and available at panhandletickets.com.